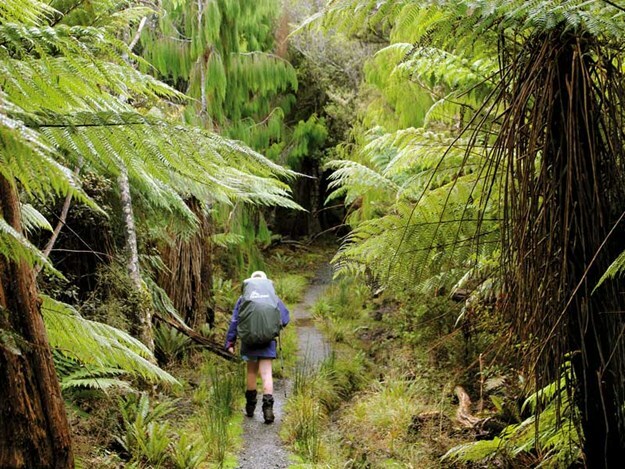 Tramping has been a huge part of my adult life, as many of our readers will already know. 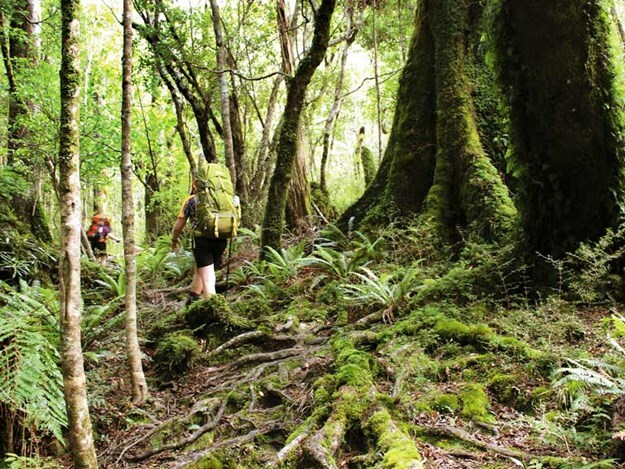 Back in the ’90s I worked for the Department of Conservation (DOC) at Whakakpapa, and that’s when I really started to enjoy our great outdoors. 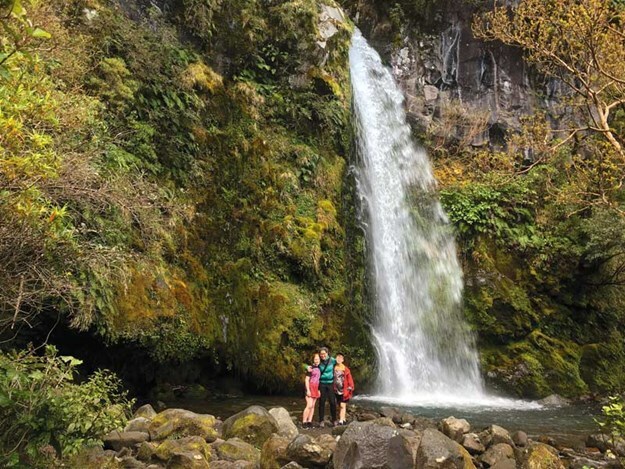 Time spent working for DOC at Franz Josef and Te Anau gave me amazing opportunities to experience iconic sites, but there are so many hidden gems out there to discover as well. 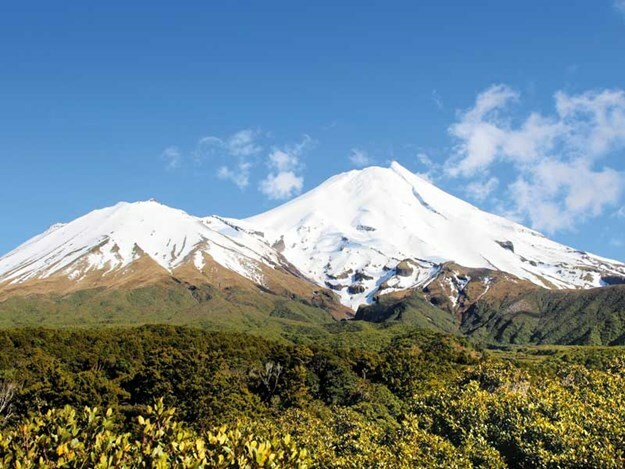 Now, as a parent to three young Kiwis, I am constantly on the lookout for awesome places to take the family. Here is a collection of seven of my favourite walks and tramps. A deep, dark tunnel surrounded by native forest is always a drawcard for our family, and we discovered this great little walk by accident when taking a break from driving. The Kawatiri Historic Railway Walk only takes around 20 minutes and is part of the old railway that ran from Nelson to Murchison. The walk starts at the intersection of State Highways 63 and 65. 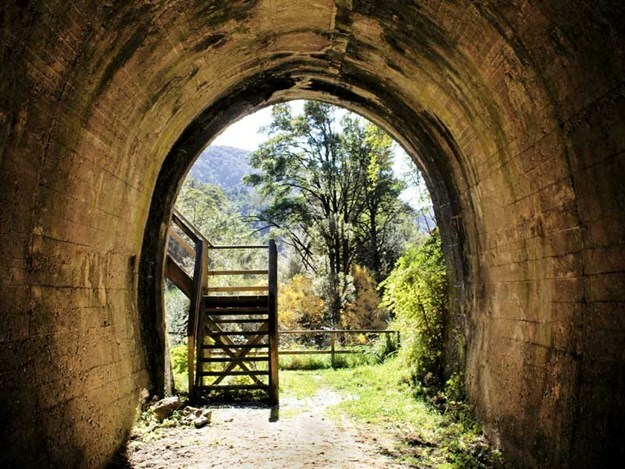 After creeping our way through the rail tunnel, we climbed steps to skirt back around and over the ridge through a lovely piece of native forest beside the river. The track then dropped back down to the tunnel entrance, past intriguing caves in the hillside, before backtracking to our car via a bridge and grass track. What a great way to stretch our legs on a long journey. There is nothing like adding a little adventure to a short walk, especially with kids, and the walk to Wilkies Pools offered just that. After only 30 minutes hiking from the Dawson Falls Visitor Centre we discovered a great off-track experience. The track to the pools is a lovely, gentle uphill wander through twisted, moss-covered goblin forest. Just after crossing a solid swing bridge, we dropped down to the river next to a small pool. We weren’t terribly impressed, but spying other walkers higher up we clambered up the smooth lava flows and discovered a gorgeous network of small pools reaching up into the river valley. Mt Taranaki rose majestically in the background, partially covered in cloud. We took time to enjoy the area before backtracking and heading down to Dawson Falls, another short walk well worth the effort. From volcanoes in the north to mountain ranges in the deep south, seeing snow-covered peaks reflecting perfectly in a still body of water is one of the most beautiful sights I know of. 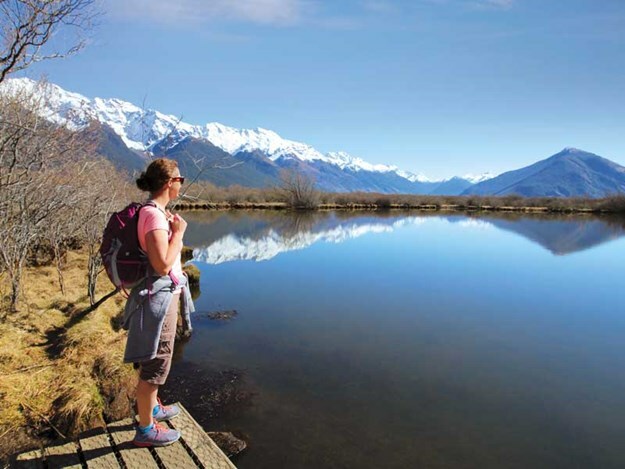 Our spring day walk around the Glenorchy Walkway inspired awe and wonder. This loop track is a one-hour dawdle through lush wetlands. We particularly enjoyed the boardwalks and the views from conveniently placed seats, allowing us time to sit and self-reflect in the serene surroundings. So peaceful. 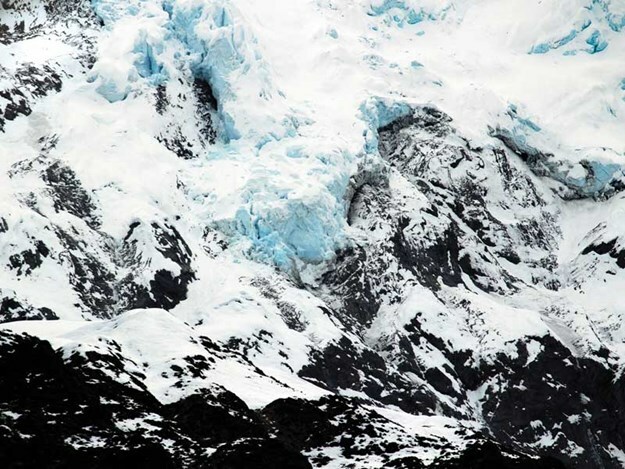 With glaciers gradually retreating, it’s impossible to know how much longer we will be able to visit and view these natural wonders. 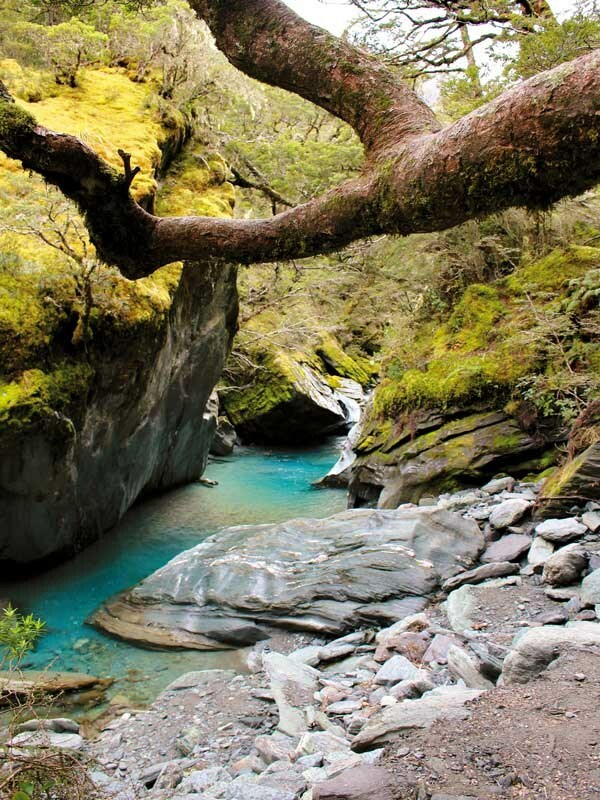 The walk to the Rob Roy Glacier deep in the Matukituki Valley was worth the trip for the drive alone. 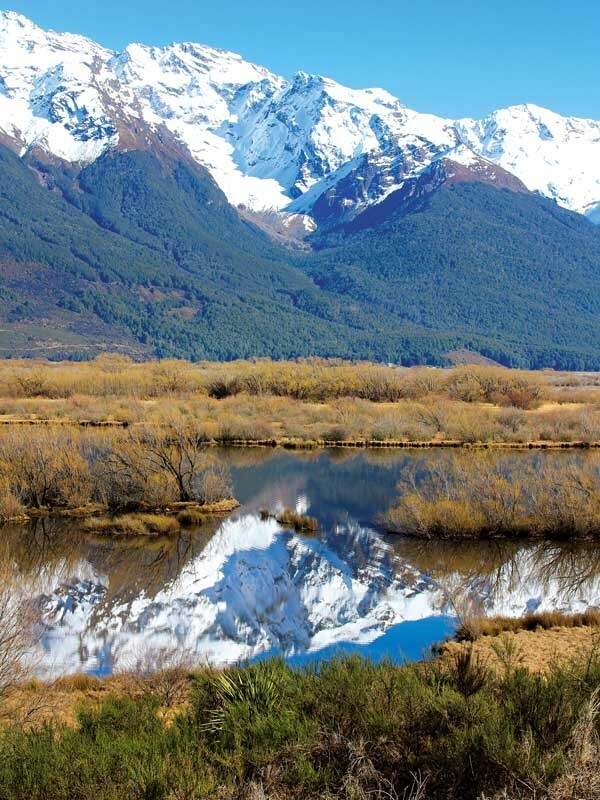 Accessed via Wanaka, a long gravel road takes you deep into the Mt Aspiring National Park, with the ranges towering up either side of you. This walk is around 10km and took us about four hours return. It’s uphill most of the way to the glacier, but nothing too steep or difficult. We enjoyed the well maintained track as we travelled through beech forest most of the way before breaking out into a boulder valley of alpine plants and tussock grasses. The glacial wall looming above us at the head of the valley made it a stunning place to visit. Heading back up north, if you’re looking for an easy overnighter, you can’t go past the Te Puia Lodge tramp in the Kaweka Forest Park. 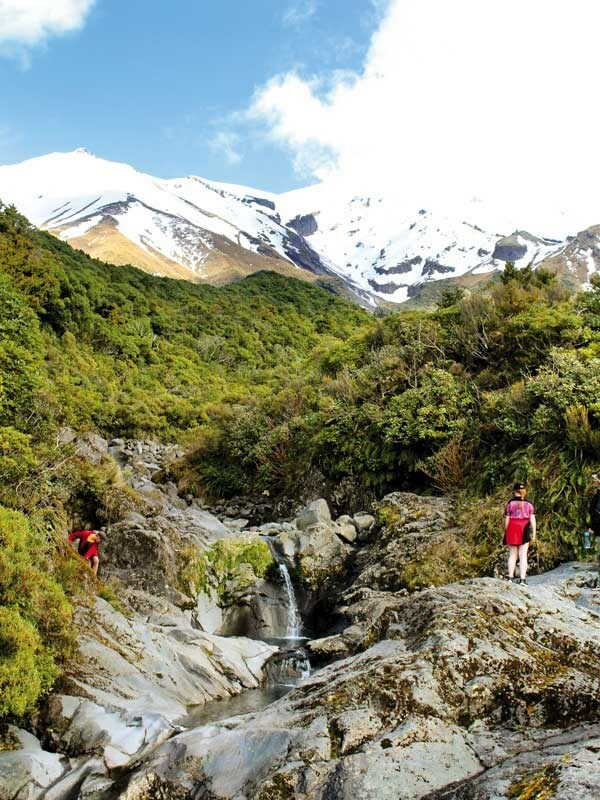 Nestled in a clearing on the side of the mighty Mohaka River, it takes around three to four hours to tramp to the hut, with the key attraction being its proximity to natural hot springs, a further 45-minute walk from the hut. This is a very popular hut so we got a head start and walked in early on the Friday afternoon, guaranteeing a bed for us all. The track was fairly undulating, with a few steep climbs and the odd scrambly descent on loose gravel, but overall it was fairly easy. We followed the river closely for much of the route including, at one stage, making our way along a rocky ledge blasted out of a rock face. Huge trout could be seen in the large pools, but rumour has they are fairly hard to catch. The hut itself has 26 bunks and is situated right on the river, an awesome spot for those brave enough to swim. Walking on to the hot pools seemed a bit far at first, but we’re oh so glad we did. These are not just holes dug into the mud but spa baths built into wooden decks, with a pipe collecting water from the springs bubbling out of the hillside. It is an ingenious set-up with two pools, one slightly higher (and hotter) than the other. The pools are surrounded by carved pumice faces, creating an almost eerie atmosphere, pumice having been thrown over the area during the Lake Taupo eruption around 2000 years ago. Soaking our tired feet was simply blissful. With plenty to do, you could easily stay a couple of nights. 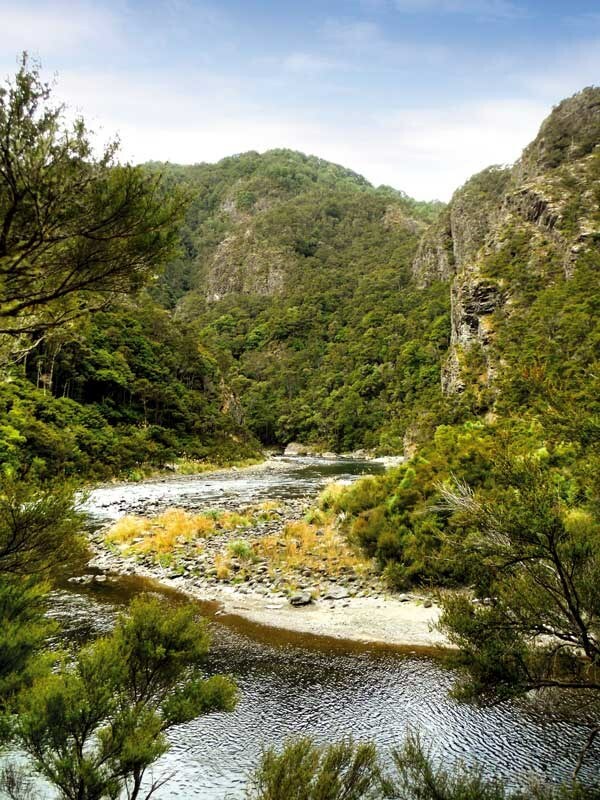 You can swim, visit the hot pools, fish… or simply sit and watch the family of whio (blue ducks) that make that area their territory. 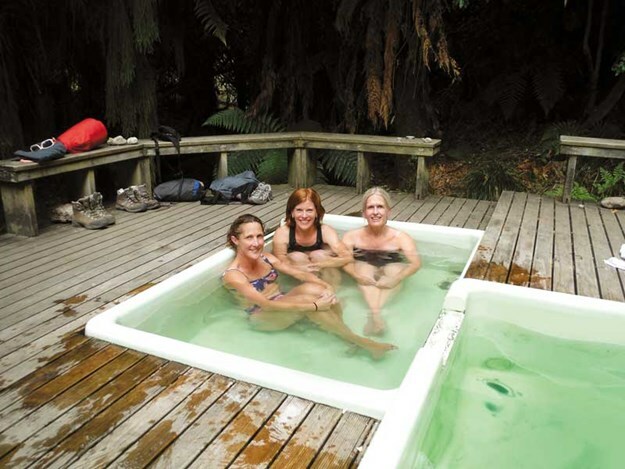 There are also hot pools and a conservation campsite at the road end. We were curious about the road access, but quickly came to the conclusion we would not be towing the caravan down that road! 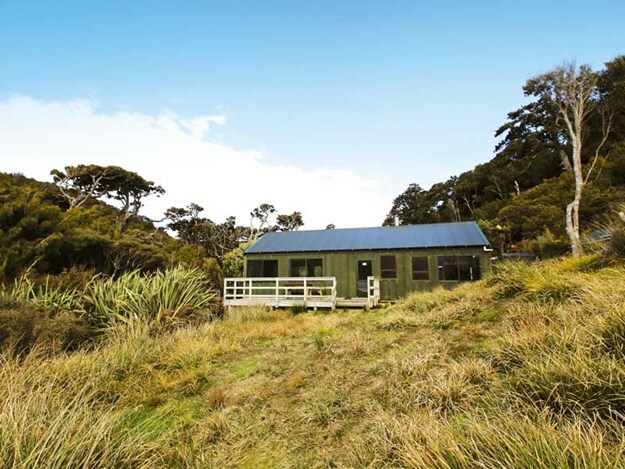 Remote huts mean rougher tracks – all the more fun! Some of my favourite huts are the rougher, less visited ones. These can be particularly good with a family as you often have the hut to yourself, and there are many that are just a few hours’ walk from the road end. Herepai Hut is one such place. 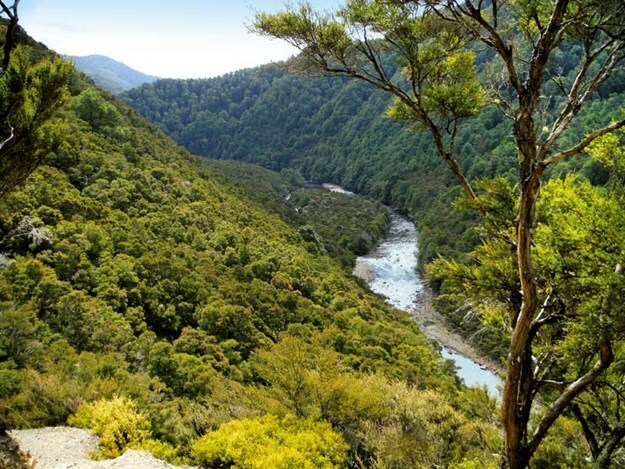 In the northern Tararua ranges, it is inland of Eketahuna. We walked beside a small river for an hour before starting a steep, rough climb up to a ridge. This was hard going, but a steady pace with plenty of rest stops saw us eventually reach the top. From there we enjoyed a lovely walk along the ridgeline to the hut. The hut wasn’t pretty, but the view was, and we did indeed have it to ourselves. The time on the sign had said two hours to the hut; with the kids it took us four, but hey, it’s not a race! Off the ferry at Oban and ready to go! 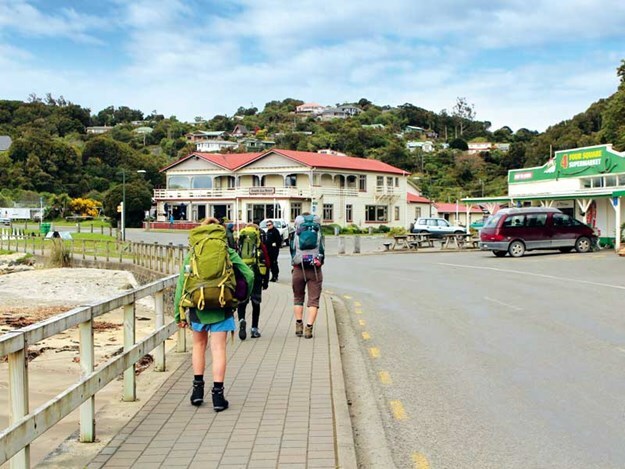 The ‘Great Walks’ of New Zealand are those iconic tramps that many people have on their bucket lists. Incredibly popular with locals and overseas visitors, hut beds can be booked up many months in advance. A ‘Great Walk’ is a tramp that has been deemed by DOC to be a step above the rest in terms of landscape, wilderness and often history. 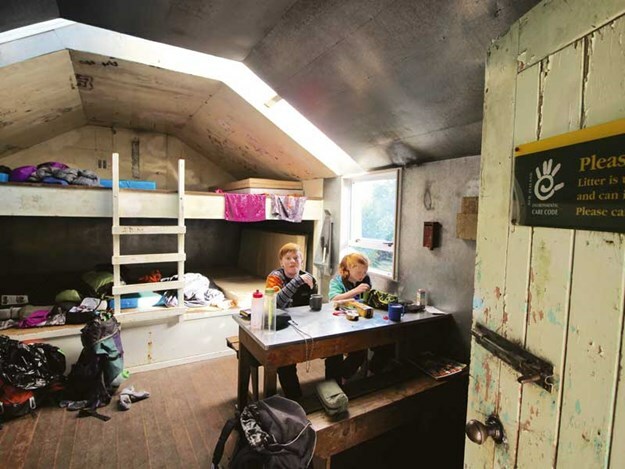 The tracks are generally maintained to a high standard and huts are fully serviced with basic cooking facilities, flush toilets and, in some cases, even solar lighting and hot water! 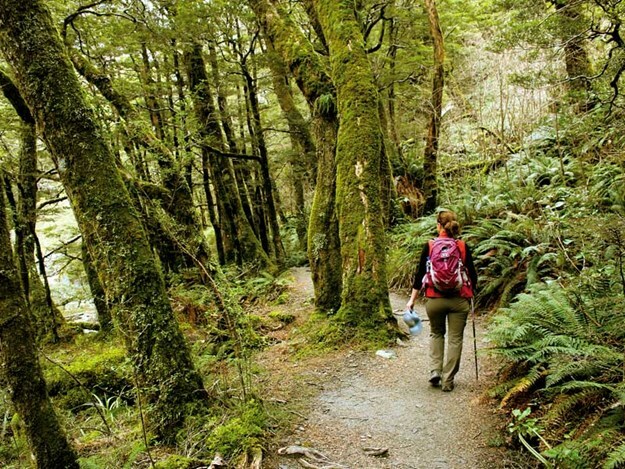 But it doesn’t come cheap – a night in a hut on the Milford Track will cost you $70. 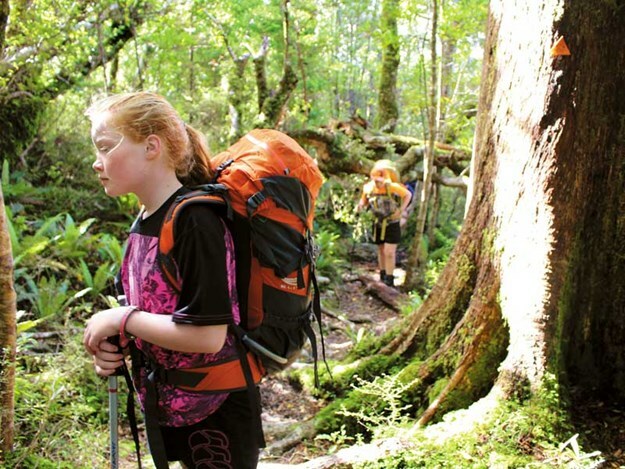 The Rakiura Track on Stewart Island is a Great Walk with a difference. While it ticks many boxes – gorgeous wilderness, fascinating history – it has the added attraction of fewer people and being cheaper to boot. 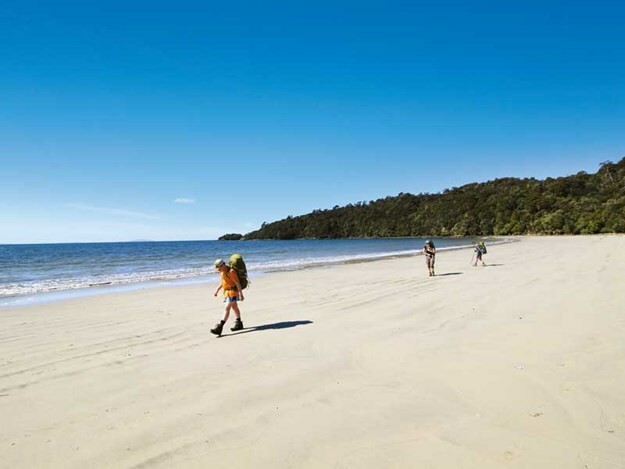 With more basic facilities (long drop toilets and no cookers) the Rakiura Track is less popular than other Great Walks. This may be because of its remote location, or maybe because of the mud! But mud aside, it is a fantastic walk and well worth considering if you are heading to the deep south. Day one of the walk took us around part of the stunning coastline of the island, including strolling along the expansive Maori Beach. 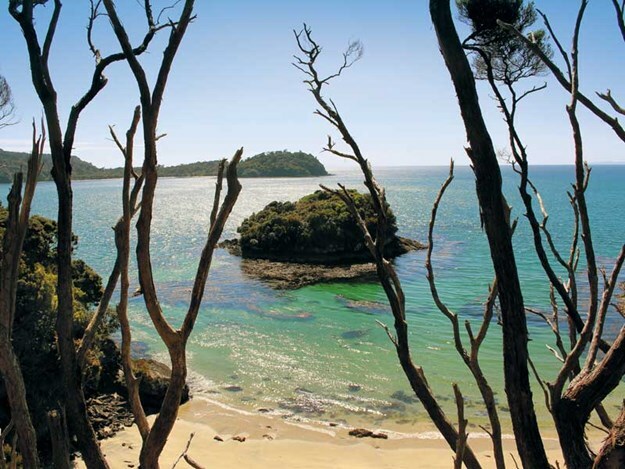 We were lucky enough to have blue skies, not a common occurrence on Stewart Island! Old remnants of the logging history are scattered around and it is easy to imagine the remote and hard lives of the families who lived here. Our second day took us up and over the bush-covered hill, and here we discovered the mud. The going definitely got tougher and it took us six hours to reach the North Arm Hut. This was a windy spot, evident by the trees growing at a severe angle, creating a smooth carpet of foliage. Sure enough, that night the gale winds rose and rain set in. Thank goodness for solid construction! The final day was an easy five-hour walk around part of Paterson Inlet and back into Oban, the only town on the island. The track traversed a small but beautiful part of Paterson Inlet, which reaches deep into Rakiura and has 188km of coastline. This was the first three-day tramp for our 12-year-old, and while he was exhausted, he felt a great sense of achievement – certainly an effort worth rewarding with blue cod and chips at the local hotel.